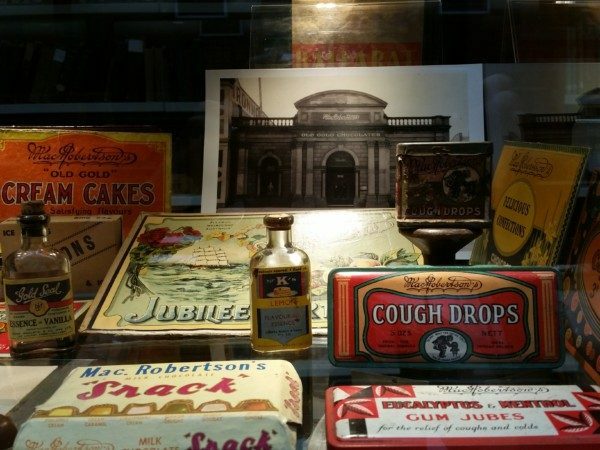 TALKING SHOP: BALLARAT IN BUSINESS AND CITY LIFE, historic photographs, advertisements and ephemera, exploring the shops and businesses of Ballarat’s past, and contemporary photographs from The Ballarat Life. This exhibition runs until 27 April 2019. Selection from the Ballaarat Mechanics’ Institute exhibition 2019. Includes items on loan from private collection. The photographs are a reminder of the architecture of Ballarat that has disappeared, along with the businesses and staff. The glorious Carlyon’s Hotel on the corner of Sturt and Albert streets, long since replaced by a dull brown brick facade, its cast iron balconies destroyed, is just one. Harry Davies & Co. department store is now a soulless single-storey bank. Tsilemanis says the exhibition continues the BMI’s series of projects telling Ballarat’s stories via relevant themes and imagery, such Gardens in Spring, the 1938 Floral Festival, Beers through the Years, Storytelling the City and Motoring through Time. “The exhibition will take a generative approach – not a complete ‘show’ from the start, but evolving as more content and stories are contributed, and artwork is created, inspiring further inspiration and involvement with these significant objects and stories, made of the everyday people of Ballarat”. on Saturday 2 March community day and book sale. 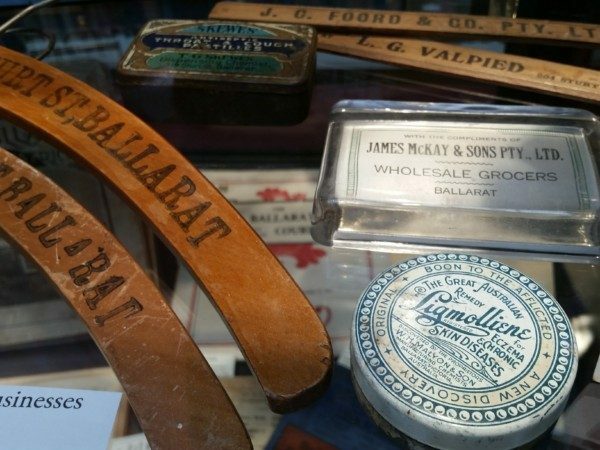 Ballaratians are invited to bring photos, ephemera, memories and stories to share and add to the BMI collection. Restock at the book sale. Then home to a nice cup of tea. 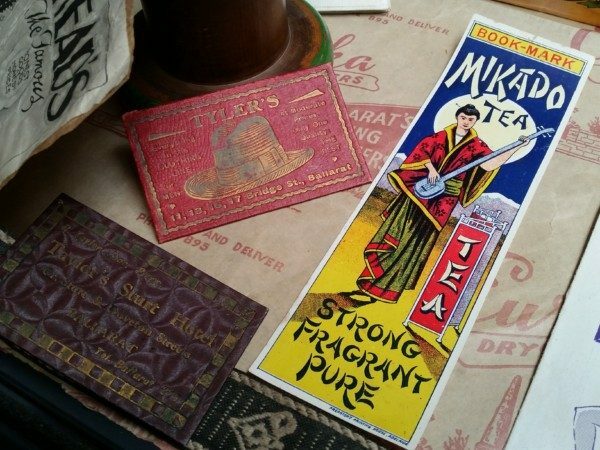 Bookmark your spot while sipping Mikado tea – image from the Ballaarat Mechanics’ Institute exhibition 2019. Includes items on loan from private collection. Gold coin entry in the library. For details of the special program to close the exhibition on Friday-Saturday 26-27 April go to this link.